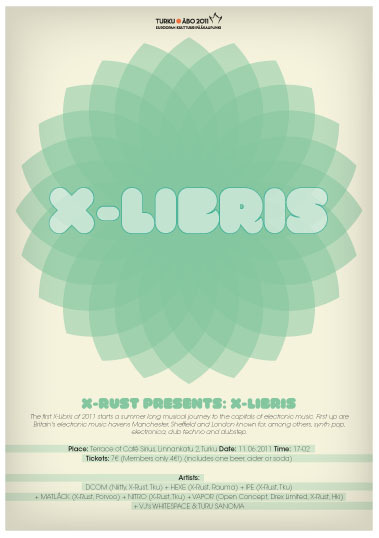 The first X-Libris of 2011 starts a summer long musical journey to the capitals of electronic music. First up are Britain's electronic music havens Manchester, Sheffield and London known for, among others, synth pop, electronica, dub techno and dubstep. Visuals by VJ Whitespace and Turu Sanoma. Price includes drink. Age limit 18.